The dance piece is heavily inspired by the works of Claudel and Rodin, which led to the creative challenge of translating sculpture into dance. "Initially when Jen choreographed the piece, we did a lot of improvisation," says Oren Porterfield, who dances the role of Camille. "And it was difficult at first because sculptures are sedentary. But there's so much depth to Rodin and Camille Claudel's work -- there's so much emotion in their pieces -- that ... it was really inspiring to try to make that into steps." "Their work was inspired by their own live, especially Camille Claudel. It's their physical life, their everyday life, their own movement... for them, it's sedentary, you make one specific sculpture. But what we're doing is kind of reversing that process, bringing it back to life." Edward Carr, who dances the role of Rodin and also serves as Performa/Dance's associate director, did some research on Rodin and Claudel. "It was interesting to read up on them a little bit, because Camille's life story is tragic," he says. "[the dance] is sort of an abstract story, but it's basically about Camille’s... descent into madness." The other longform dance in Artist and Muse is Two Fridas, by choreographer Wynn Fricke. "Two Fridas is based on the painting The Two Fridas by Frida Kahlo. And in the painting itself are two women seated side by side and they are connected by their hearts," Says Hart. "In the choreography... Wynn really took out the kind of duality of Frida Kahlo having this sort of weaker side that was frail and was in a lot of pain and this stronger side of her who overcame a lot... and still was politically active." Artist and Muse will also include two shorter works by Hart: The Beast and Murmuration. "The Beast... is an exploration of the interrogation techniques after 9/11 that the CIA was endeavoring to do," says Hart. "What I really was doing was trying to explore what the bodily sensations of being tortured would be like. It's a dark piece." The Beast is a solo dance; the other short piece in Artist and Muse features a much larger cast. "Murmuration... is about the flight of birds, the choreography of birds," says Hart. "That piece is for ten dancers. It's much more joyful." 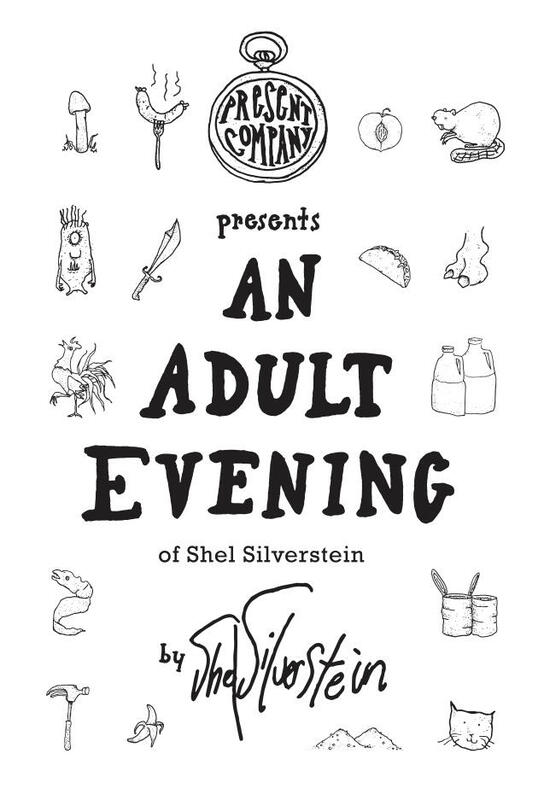 Artist and Muse will be onstage June 1 and 2 at the AustinVentures Studio Theater at Ballet Austin. 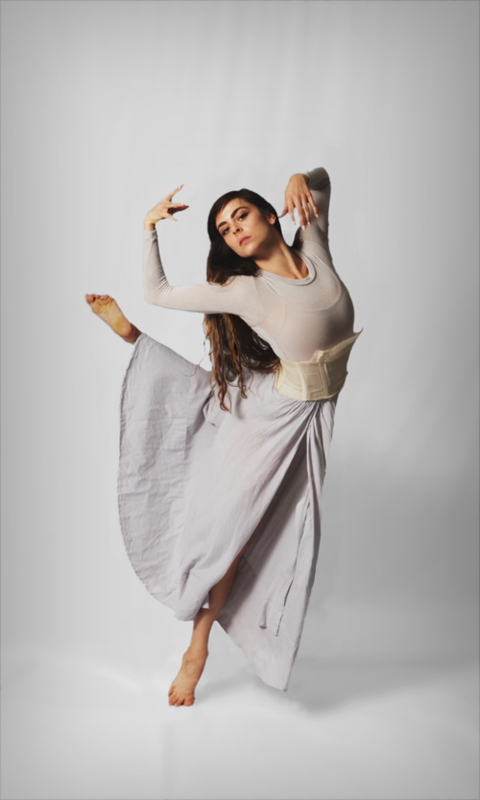 Introducing ARTIST and MUSE from Performa/Dance on Vimeo. 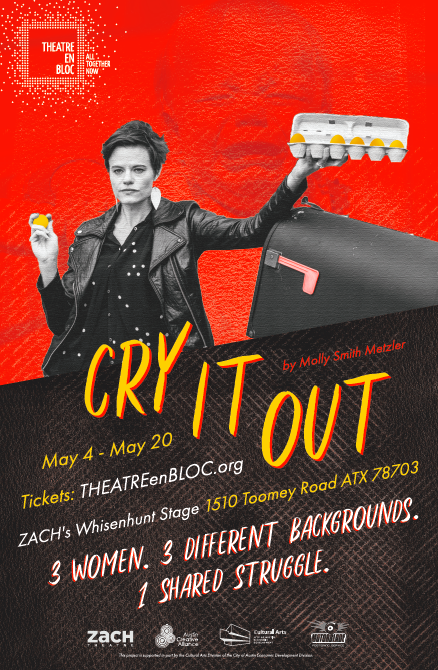 "I saw the play with my best friend, and by the time it was over we were just clinging to each other, so emotionally rocked we didn't even know what had happened," says Cry It Out director Lily Wolff, recalling the first time she saw the play performed. "Every since that experience with it, I knew I wanted to do it and I knew I wanted to do it here." Wolff asked Theatre en Bloc artistic director Jenny Lavery to read the script, and Lavery was quickly on board with the idea of producing (and acting in) Cry It Out. 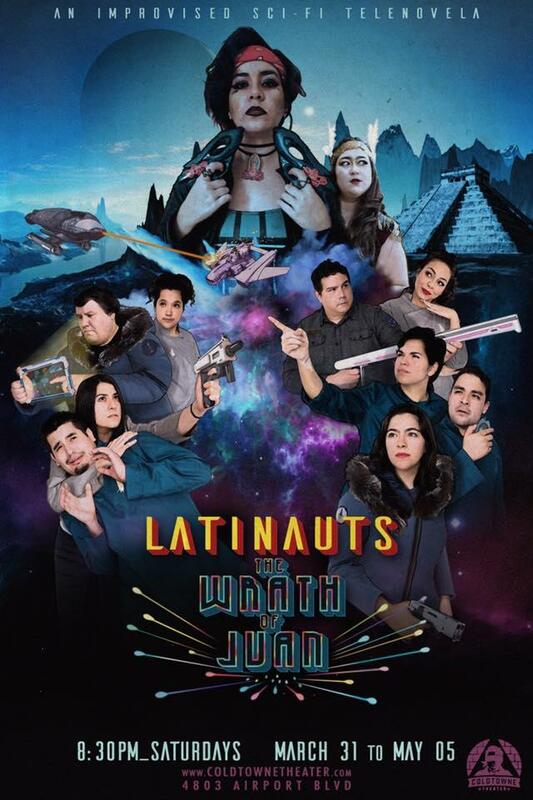 "We wanted to do an improvised telenovela, but we wanted to take ourselves outside of stereotypical roles," says Latinauts producer and performer Lili Lopez. "We didn't want to be maids or pool boys or ..."
"Landscapers," fellow producer/performer Carlos LaRotta suggests. "Landscapers. Nannies," Lopez continues. "We talked about it [and] asked ourselves how we can take it out of this world. And we took it out of this world." Specifically, they took the concept off planet Earth entirely and into outerspace, creating the improv show Latinauts, which chronicles the comedic adventures of the Starship Edward James Olmos.